Forever Family Designs is live! We’re a little bit past our target date, but it’s well worth the wait! 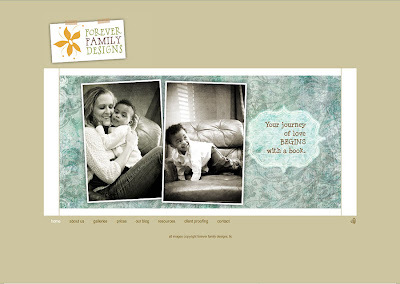 The Forever Family Designs website is now live! Go check it out, and spread the word to anyone you know who might be adopting. Our one goal is to make what can be a long and stressful process a little bit easier! God is so incredibly faithful, and His provision is astounding. Thanks to bludomain for the free site, won in a contest they ran back in December! The designs currently in the galleries is just a starting point. Over the next few months, we will be adding more template options and announcement designs, with sneak peeks of new designs posted on our blog. Make sure to bookmark this page! Thanks for your patience, and for celebrating with us!